On 28 March 1802, the German astronomer Heinrich Olbers discovered Pallas, the second asteroid, a little over a year after the discovery of Ceres by G. Piazzi. Pallas is also in the asteroid belt which lies between Mars and Jupiter; there are hundreds of thousands of bodies in this belt. Pallas alone represents 7% of the total mass of the belt. Some scientists think that Pallas could be an intermediate step between the planetesimals and the planets: this asteroid would have been formed from dust and small stones from the protosolar nebula over several million years but without collecting enough material to reach the size and perfectly rounded shape of a planet. In images taken in 2007 by the Hubble space telescope, what might be an impact crater can be seen on Pallas. 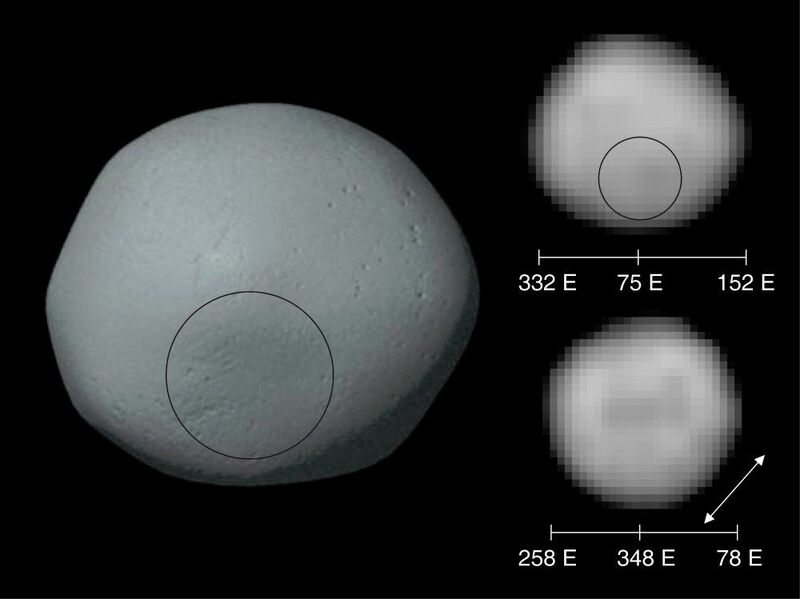 During a collision between Pallas and another small body, debris was ejected and now forms a family of asteroids with orbital parameters identical to those of Pallas. Scientists dream of sending a robot to explore the bottom of the Pallas crater; they would doubtless discover the composition of the strata that form the outer layer of the asteroid, which would give better understanding of the accretion processes at work in the early youth of the solar system.